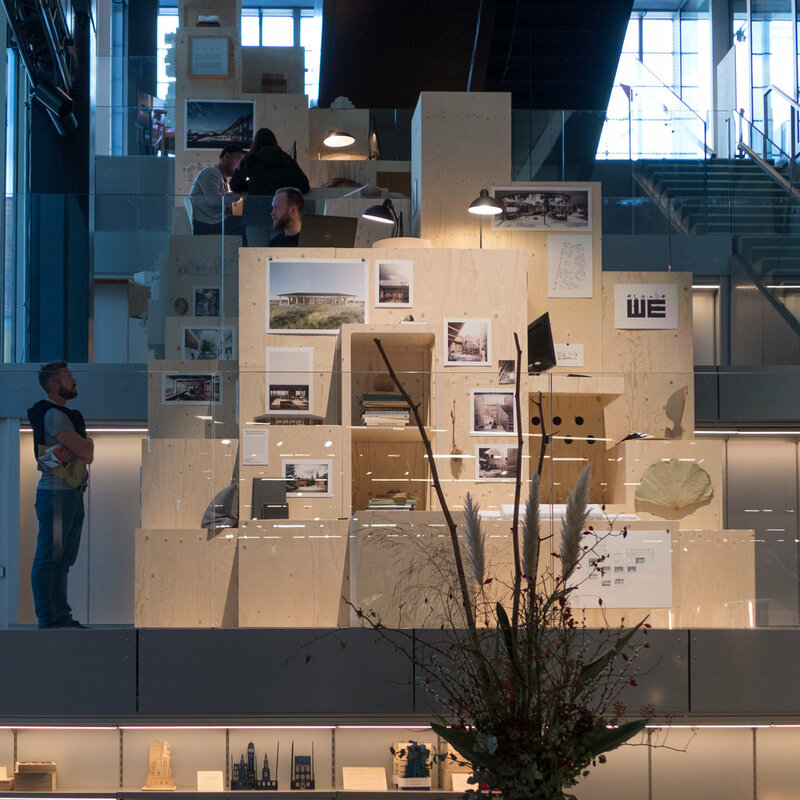 "The name WE Architecture is based on the philosophy that architecture is not the result of only one person's stroke of genius" … but "believe that the best results occur through teamwork and transdisciplinary networks." 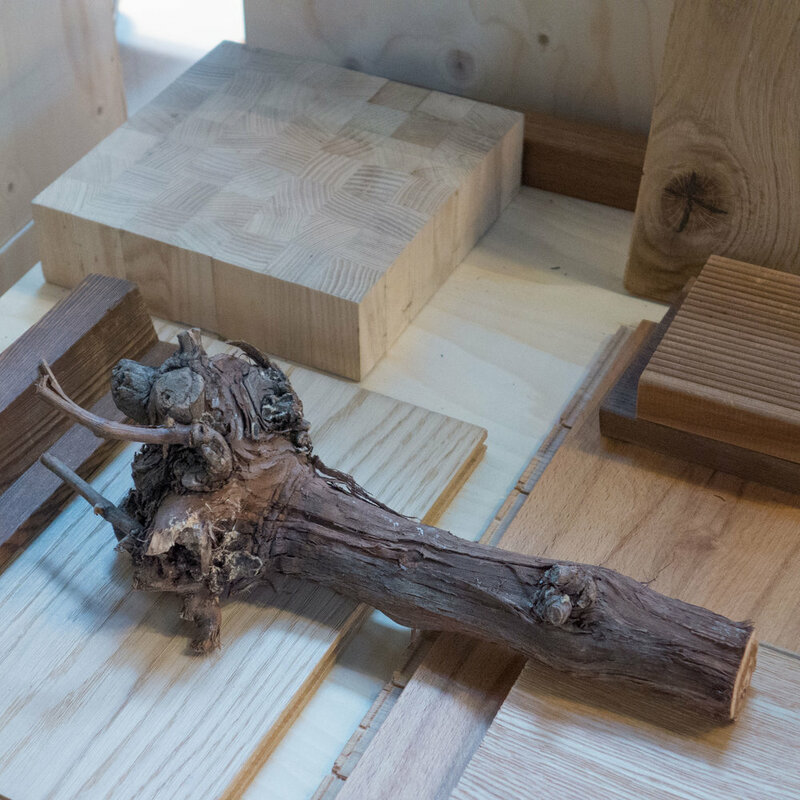 WE architecture was established in Copenhagen in 2009 by Marc Jay and Julie Schmidt-Nielsen. Much of their work takes, as a starting point, an exploration of how people and the community respond to and use architecture … what they describe as understanding how physical surroundings "inspire people to create new relationships or to cultivate existing relationships" … exploring the "potential for innovating the framework of communities." This raises interesting questions because it implies that there can be an enlightened and well-defined relationship of trust between the architect and the end user as well as with the commissioning client. This is not the place to discuss the issue of politics and economics in social architecture, in the broadest sense, in Denmark but possibly a place to raise this important subject. 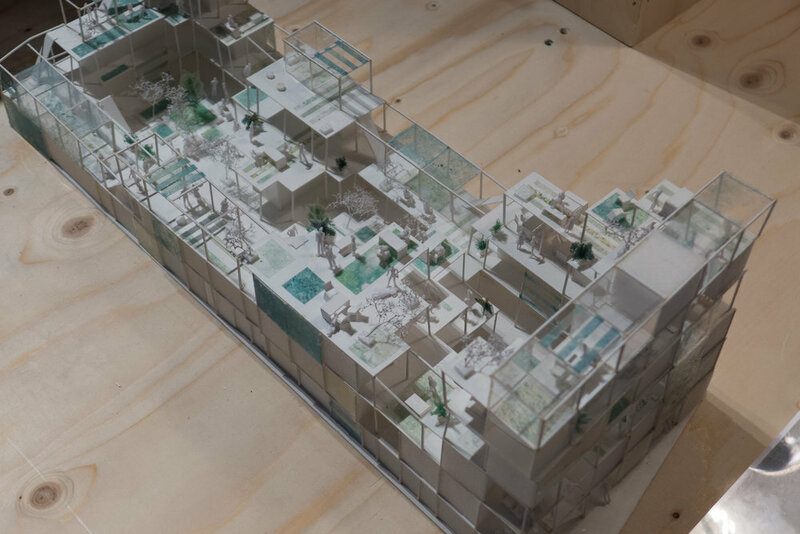 One project, shown here through a number of models, is a new and ongoing development for Jagtvej 69 in the Nørrebro district of Copenhagen with temporary housing for homeless people and community gardens. This is now an empty plot but was the site of a community centre, Ungdomshuset, which was cleared and demolished in 2007 precipitating street riots … cobbles thrown in the riots are one of 30 objects chosen for an exhibition at the National Museum - Din Ting - to represent key events or movements of the first years of this century. This is precisely what makes Danish architecture so important … designs that responds to the changing needs of society with an awareness of and a sensitivity to broader political issues. Certainly, looking at the work of the studio over the last ten years it is good to see that so much of their work is in housing, education and culture and all these projects have a strong relationship with their landscape or townscape setting. Models - so massing of elements and overall form - are clearly important as different options for sites are explored through making many models at the initial stages. The Dreyers gallery has three main levels alongside a steep staircase down from the main exhibition area and WE Architecture have exploited this by stacking up timber boxes to break down the sudden transition from each level to the next. This provides platforms and surfaces for displaying models and photographs of the projects undertaken by the team but they have also incorporated work stations where, for the period of the exhibition, staff will work but are available to discuss their buildings and answer questions.